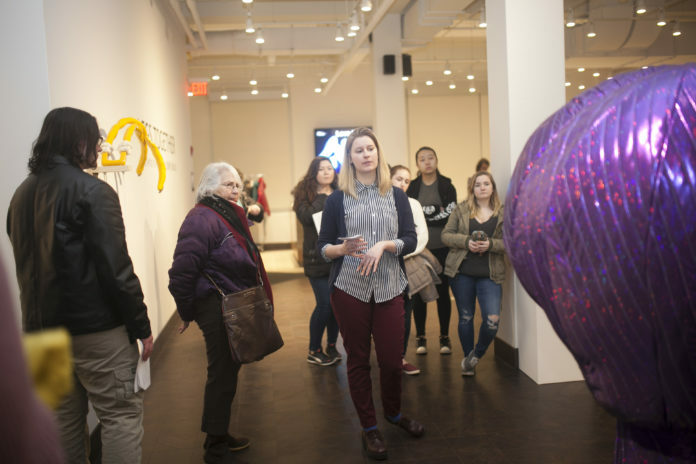 On Thursday, Feb. 8, Rowan University’s 2018 Artist in Residence Sidney Mullis held an artist’s talk for her exhibition “Legs Together.” The show, on display in the Rowan University Art Gallery, revolves around several themes, including the fluidity of gender, sexuality and identity. 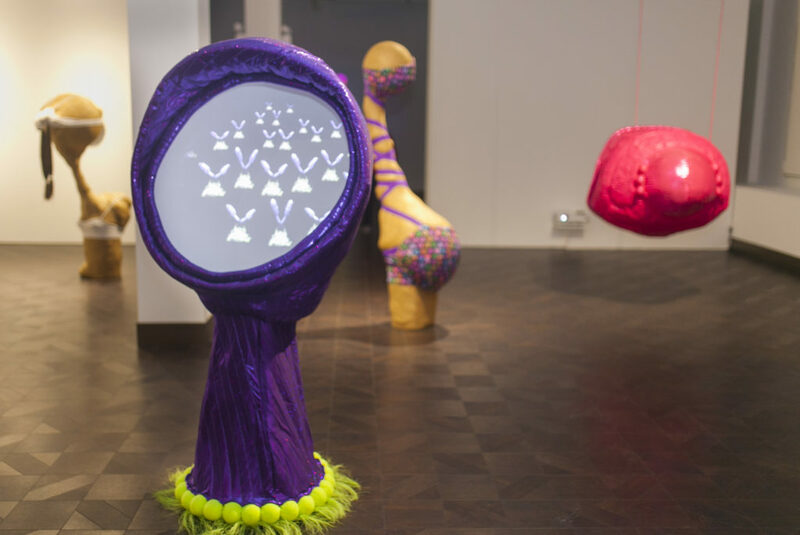 The exhibit delivered its message through a variety of pieces, including several that blended sculpture and video, as well as a solely-video section in the back of the exhibit. Mullis noted that a large portion of her work deals with ideas surrounding how society views gender constructs, and how people age. Mary Salvante, Gallery and Exhibitions program director of the art gallery, was tasked with picking the pieces that ended up appearing in the gallery. Salvante said that she was looking to fill select criteria in this exhibition. Before she began her talk, Mullis was introduced by Scot Kaylor, the head of sculpture in the art department. Kaylor mentioned Mullis’ resume, as well as her prior experience before coming to Rowan. He then ceded the floor to Mullis, who took the assembled group around the room, pointing out several pieces in the installation that she felt merited extra notice. 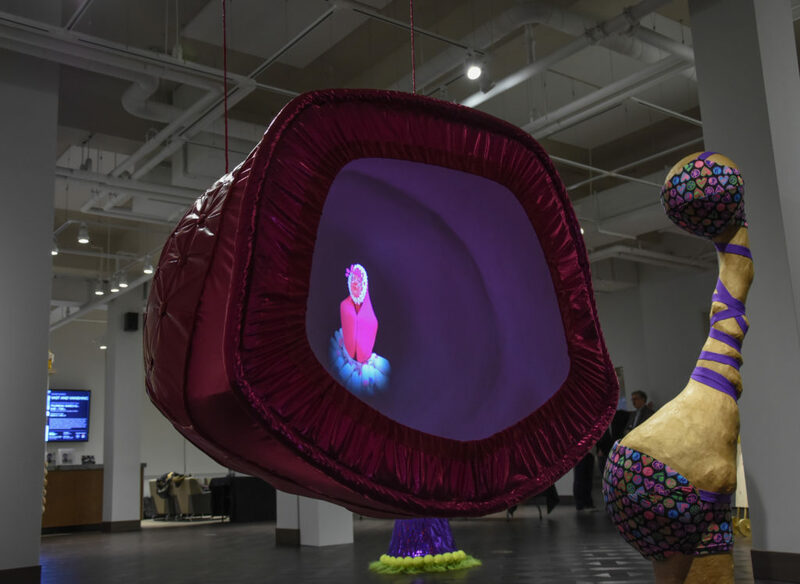 One of those pieces was the particularly intriguing “Pikupsumchiks Bower,” a pink canvas dome, into which a looped video of the artist in costume was projected. According to Mullis, the structure itself is oddly balanced and is meant to draw the viewer in at an odd angle. 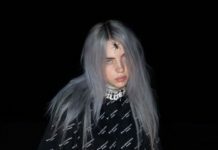 During the talk, Mullis noted that the movement of her video in the projection was supposed to be both recognizably human and at the same time alien to the viewer. 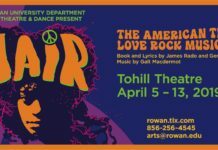 After the show, the reaction from the students and faculty was positive. 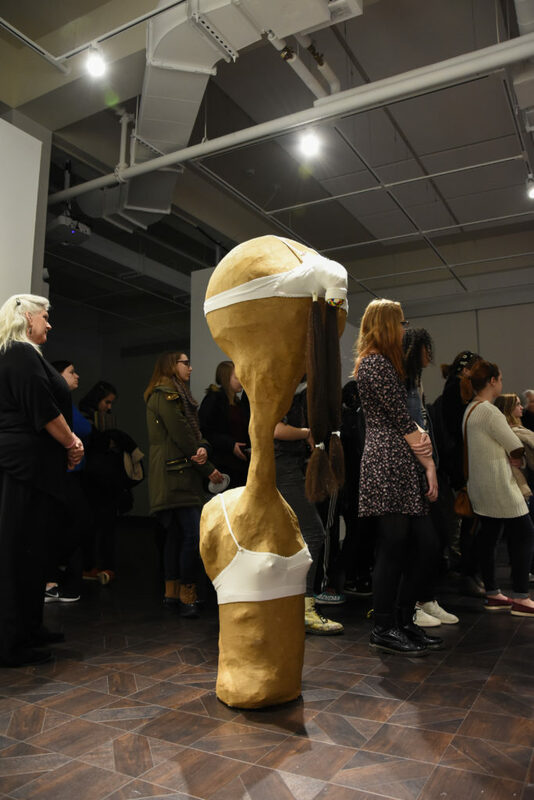 Junior liberal studies major Olivia Dellston said that the talk was incredibly enlightening for her as it allowed her to better comprehend what Mullis was trying to say with her art. 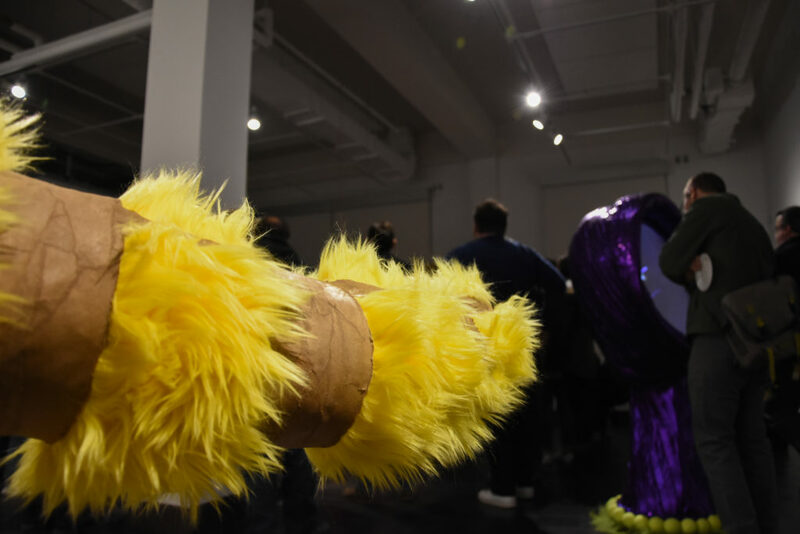 “Legs Together” is on display in the Rowan University Art Gallery at 301 High St. until Feb. 24.